It’s Football season and in this episode of the Theology Nerd Throwdown, Tripp and Bo break it down for 4 full quarters. Topic #1 is Rob Bell‘s new TV show. Topic #2 is Brian McLaren‘s new book (and the John 14:6 Challenge). Topic #3 is Mormonism and the changing role in America. The final topic is a commercial for next week’s big TNT on the problems with Radical Orthodoxy & Post-Liberal thought. Make sure to check out the John 14:6 challenge! And sign up for Mutiny! Come on out for a live mutinous podcasting experiment. Join Captain Brewin, Peg-Legged Pete, & Barry the Skull Keeper for some philosophical swash-buckling & fresh brewed pints at the Monkish Brewing Co.
Kester Brewin is bringing the good news of pirate inspired mutiny to the USA. 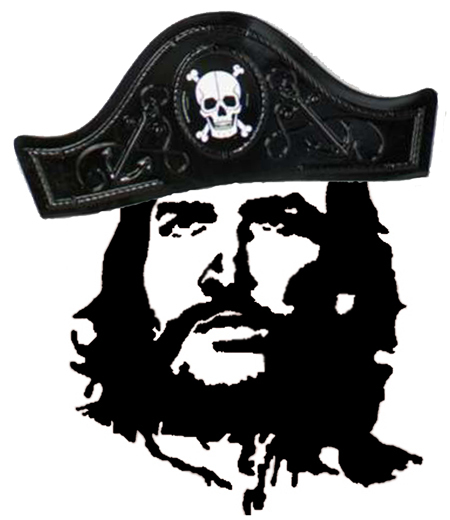 We shall be seeking the wisdom of Blackbeard, Luke Skywalker, Peter Pan and Odysseus and other eye-patched heroines as we reflect on personal development, art, economics and faith. 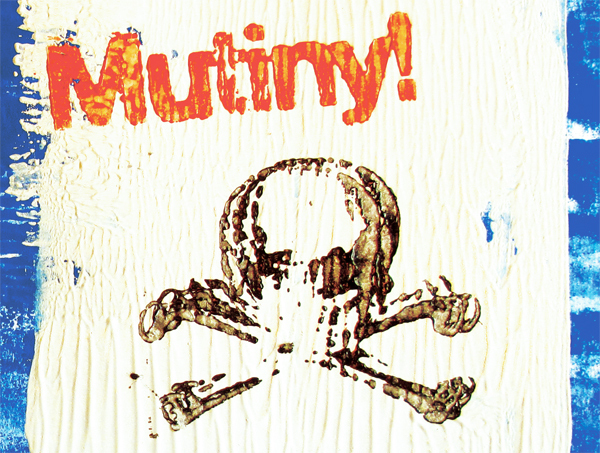 If hearing from Kester about his newest book Mutiny! wasn’t enough… he’s bring two fellow philosophical swashbucklers, Peter Rollins & Barry Taylor, who shall assist him in over-throwing the intellectual & cultural scurvy. Get your Mutinyt! tickets here. They are $15 and there only 50 available so Go Over-Board NOW! Those in attendance are encouraged to come in Pirate gear. Should you NOT come with at least an eye patch you will be publicly shamed into purchasing Tripp an additional pint and yell ‘Arr’ with gusto. For directions to Monkish Brewery go here. Look at pictures so you don’t get lost… it has happened before. * SUPPORT the podcast by just getting anything on AMAZON through THIS LINK or you can get some Homespun Craftianity. We really appreciate your assistance in covering all the hosting fees which went up 30 bucks a month due to the growing Deaconate! Protect Your Table. Buy a Coaster.